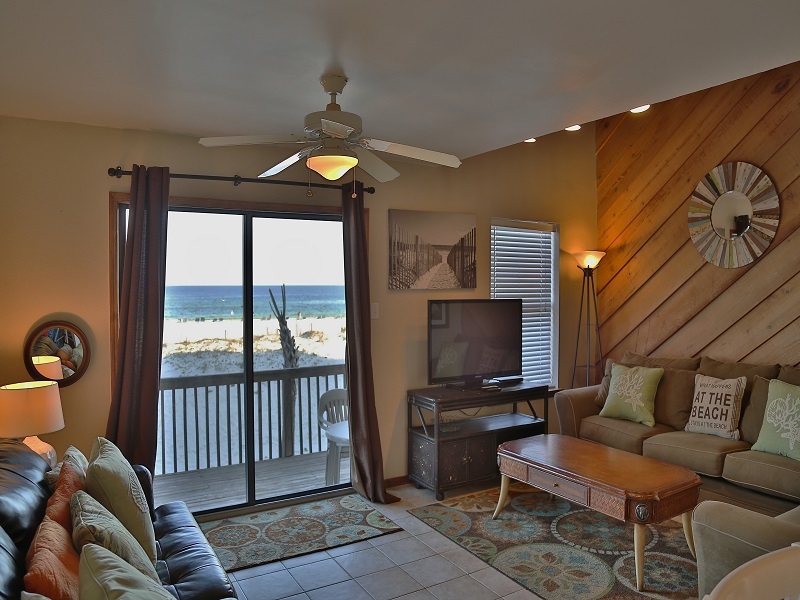 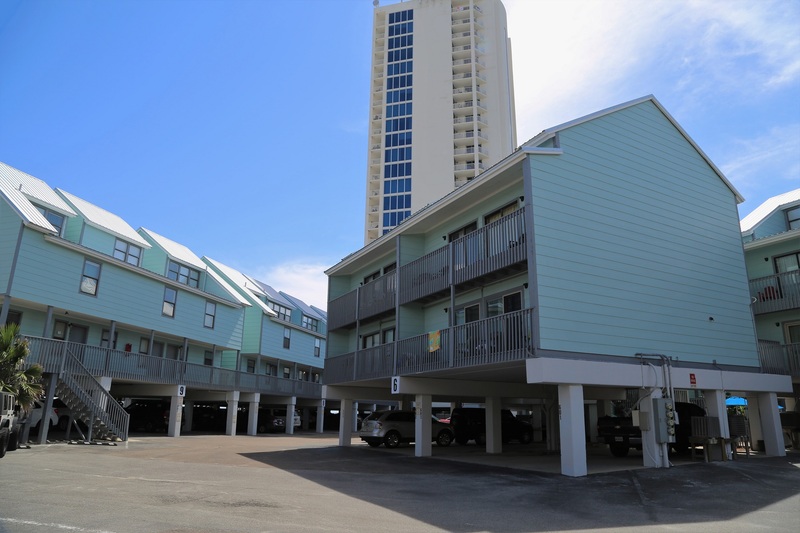 Ocean Reef is in a prime location in Gulf Shores on West Beach. 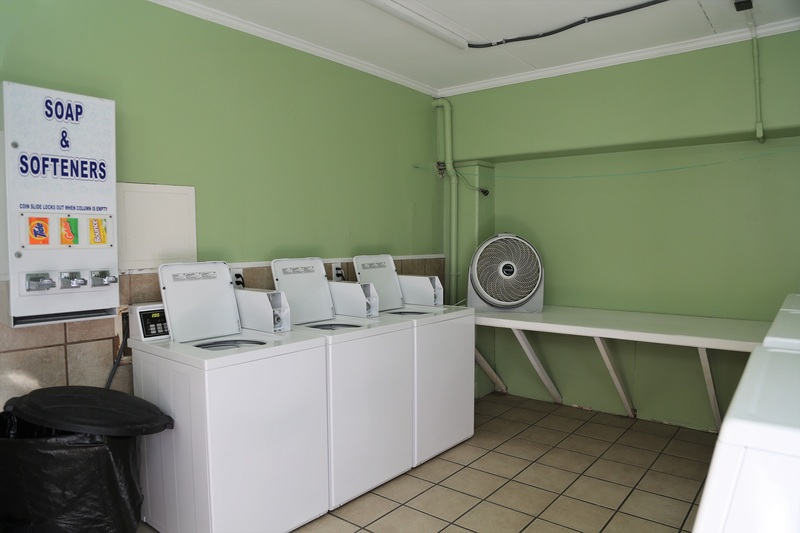 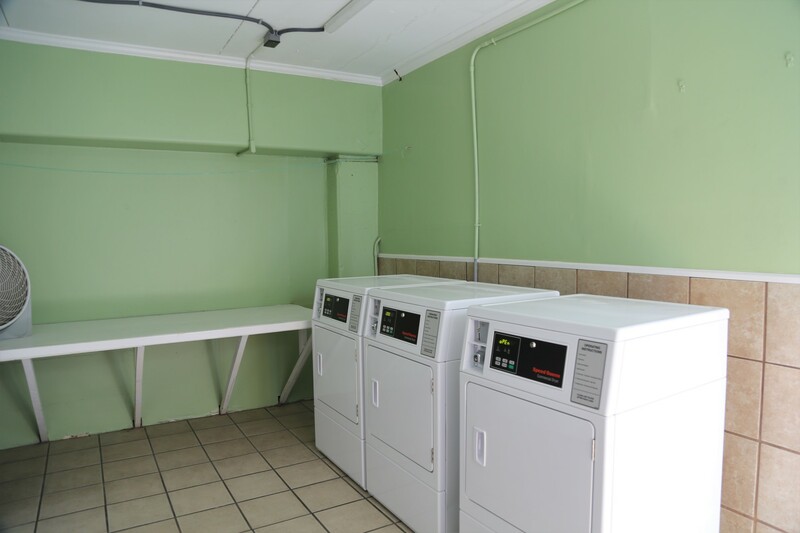 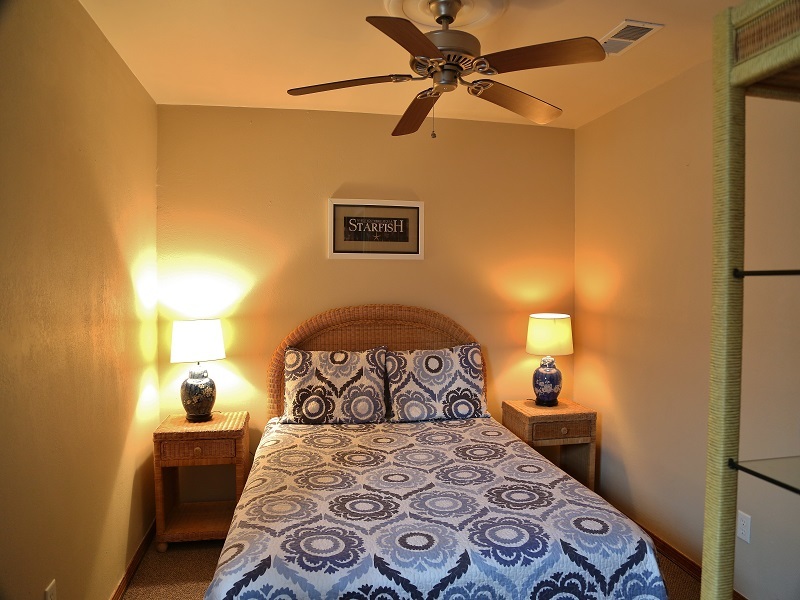 Easy walking distance to the center of town! 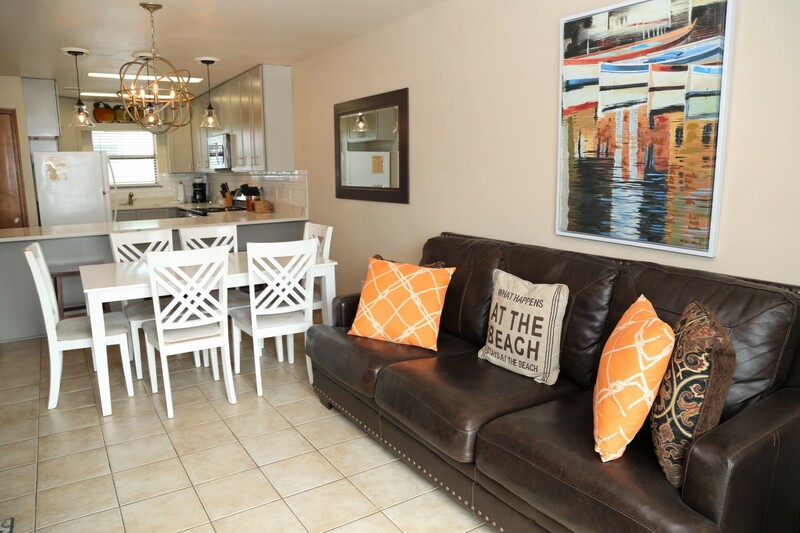 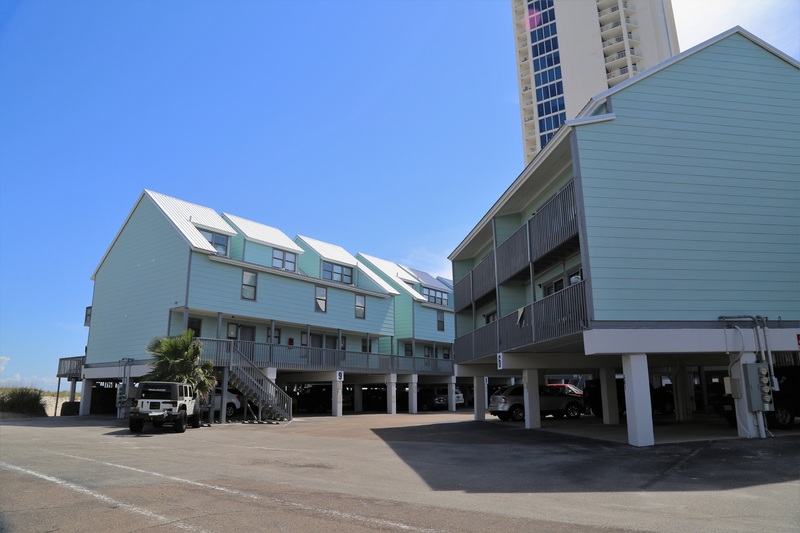 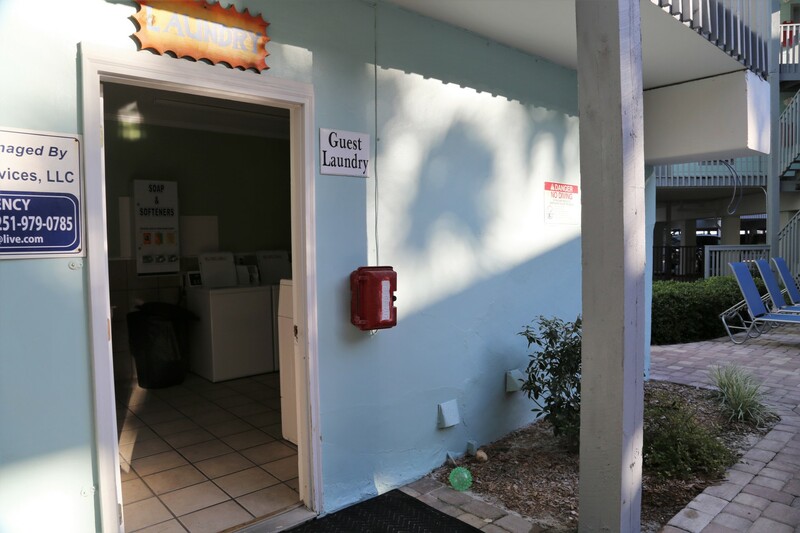 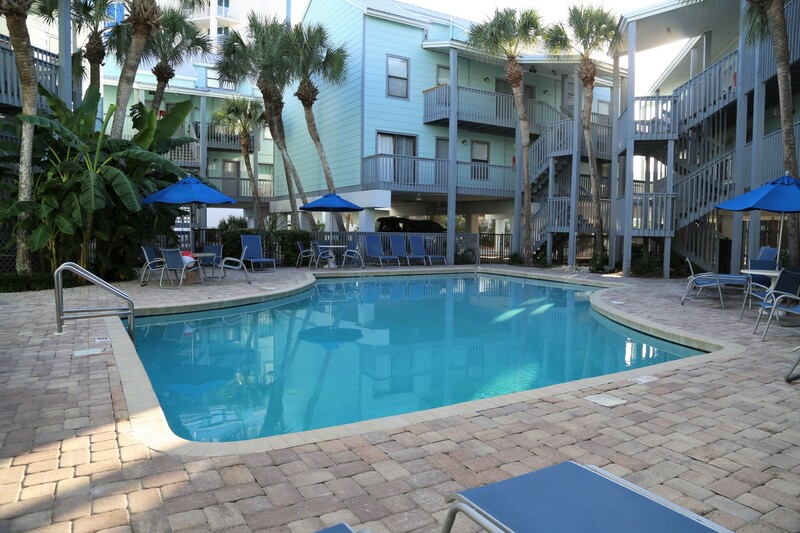 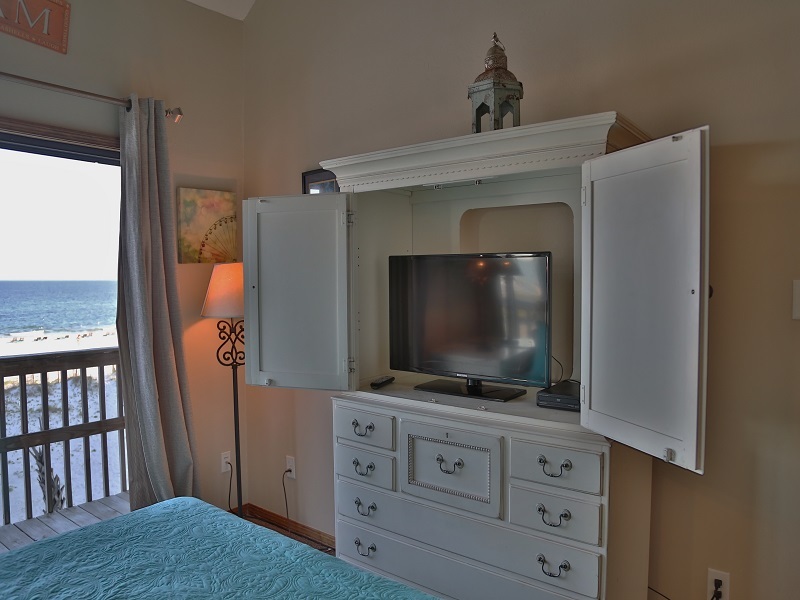 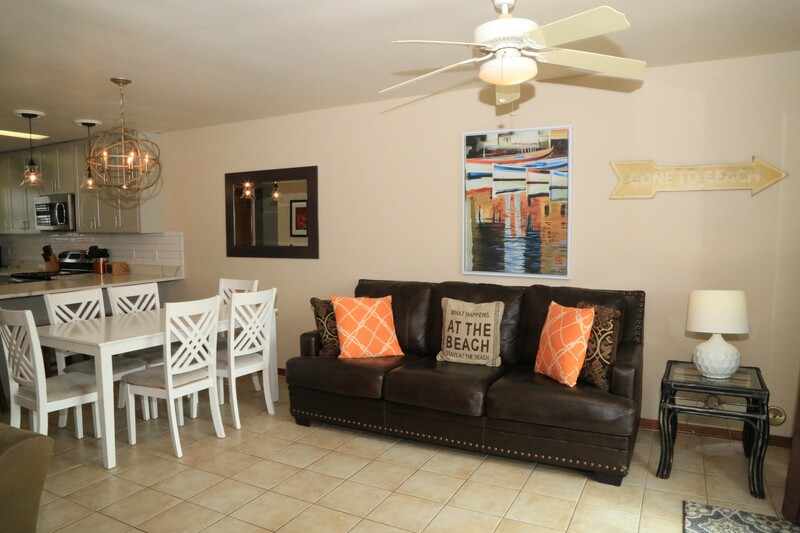 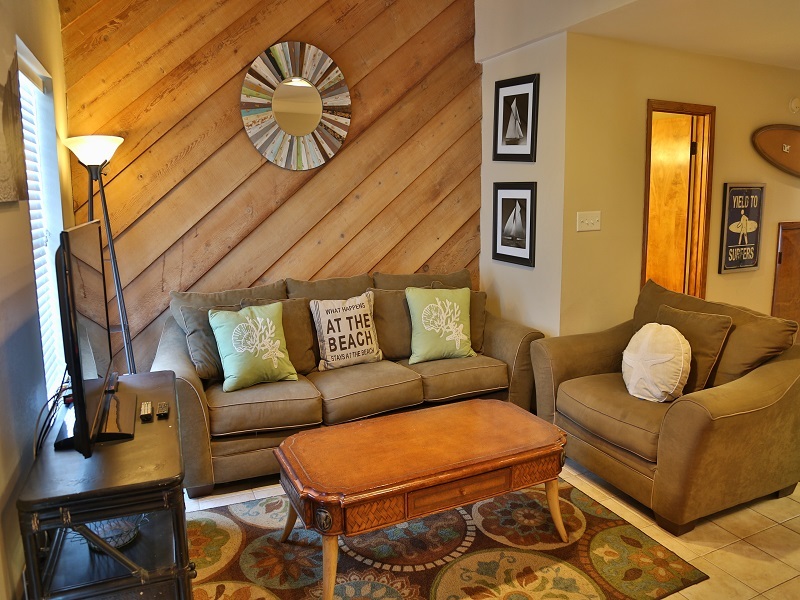 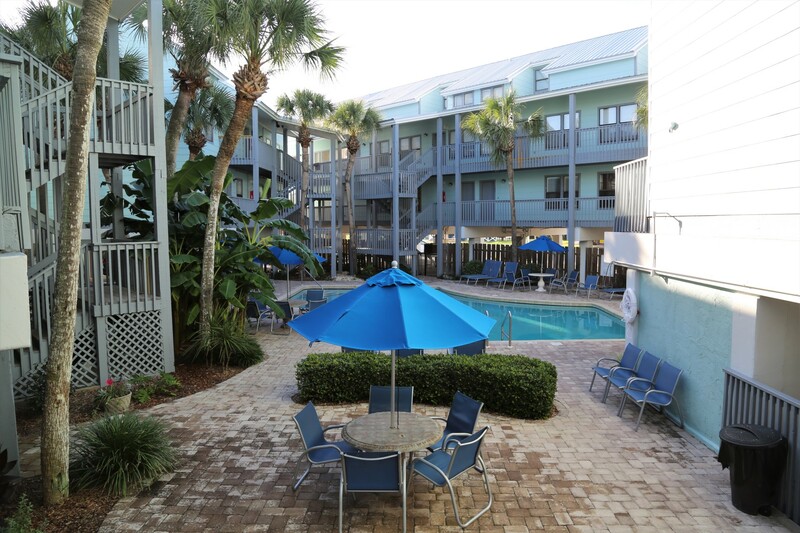 702 is an updated, spacious, 3-story gulf front vacation town house accommodating up to 8-10 guests. 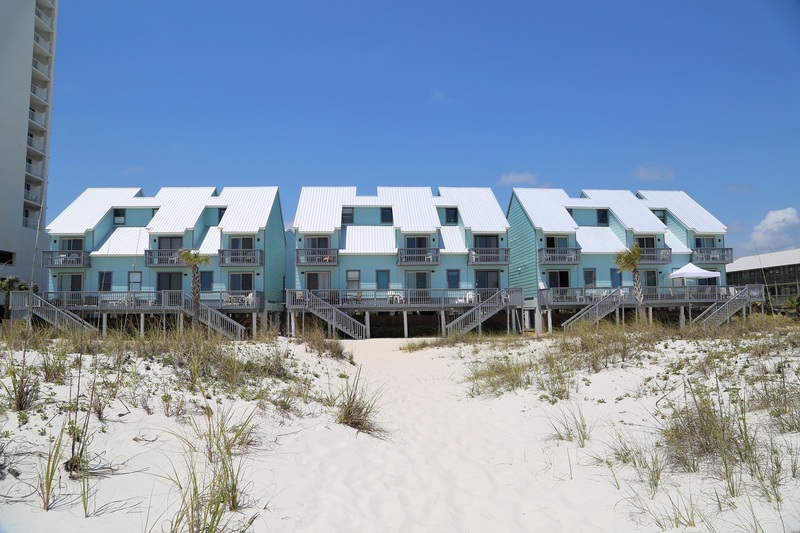 3BR/3.5BA beach front home has 2 balconies, one on the main level and the second off of the master bedroom, both overlooking the beach and gulf. 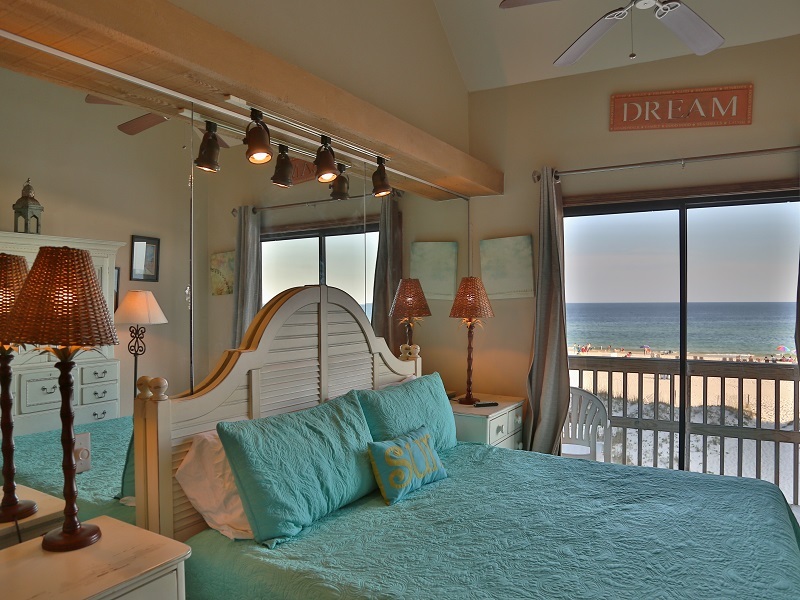 Staircase from the deck leads down to the white sand beach. 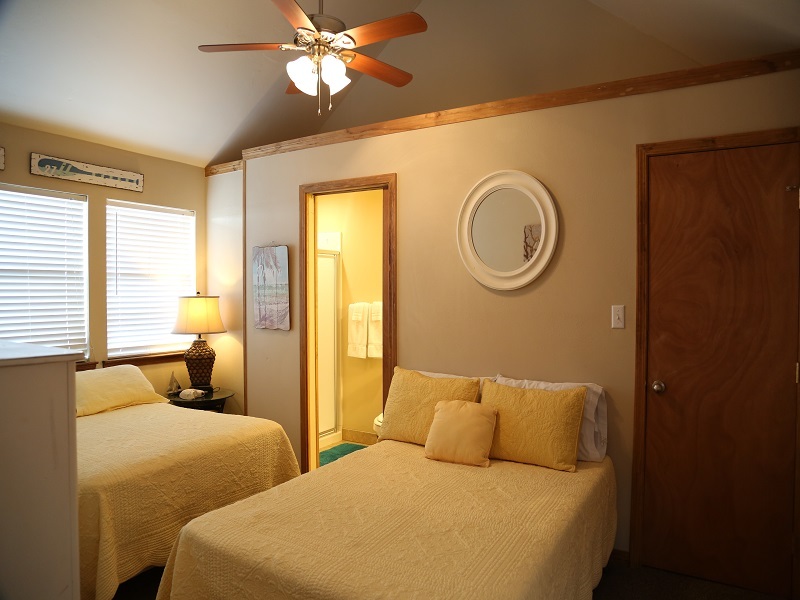 The master bedroom includes a recently upgraded king mattress for ultimate comfort and relaxation. 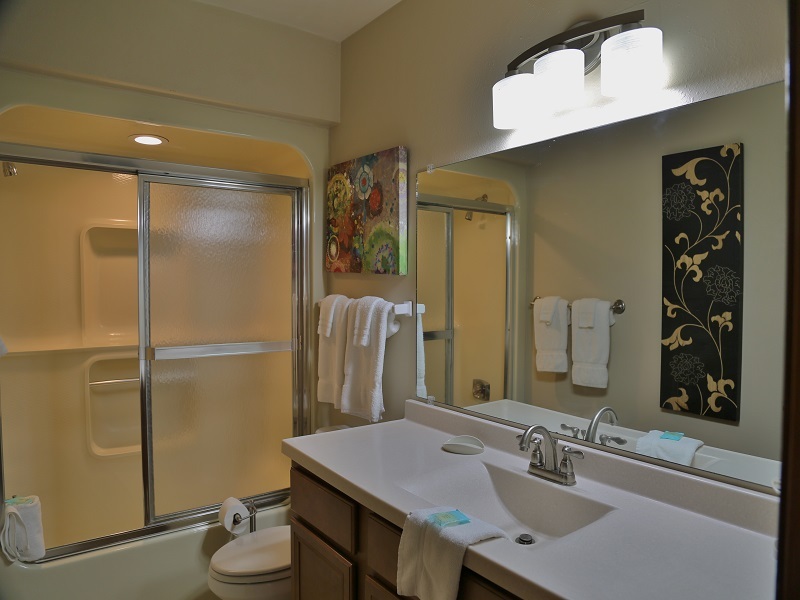 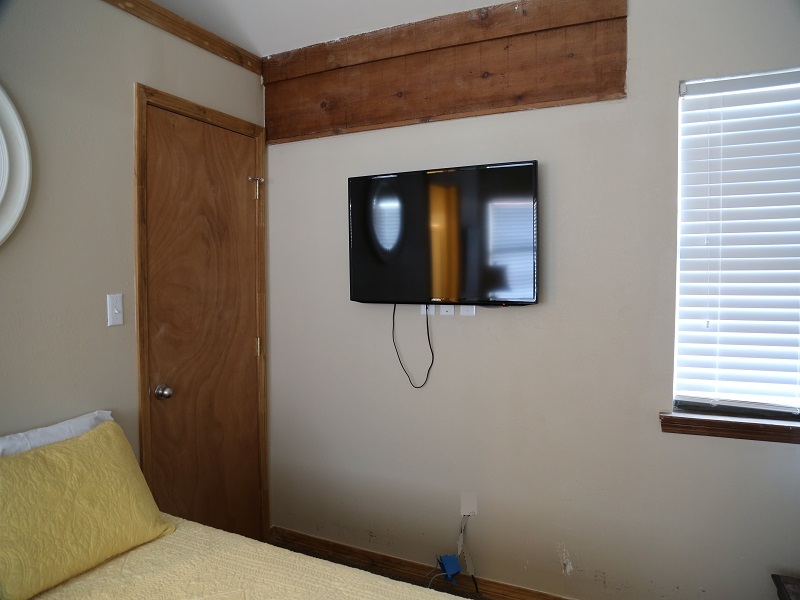 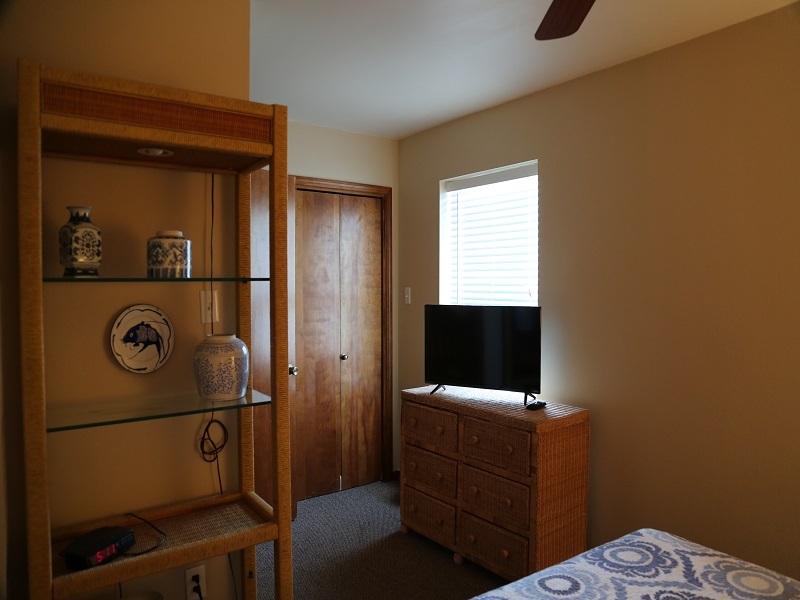 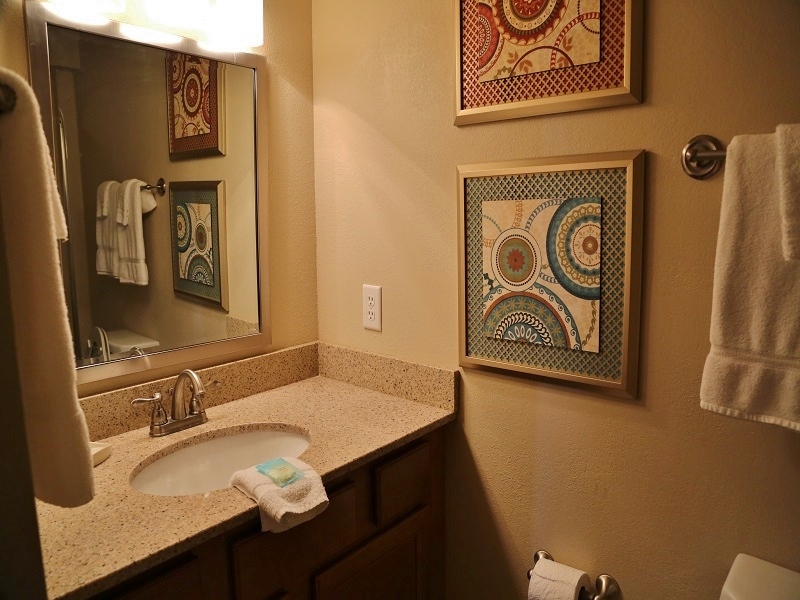 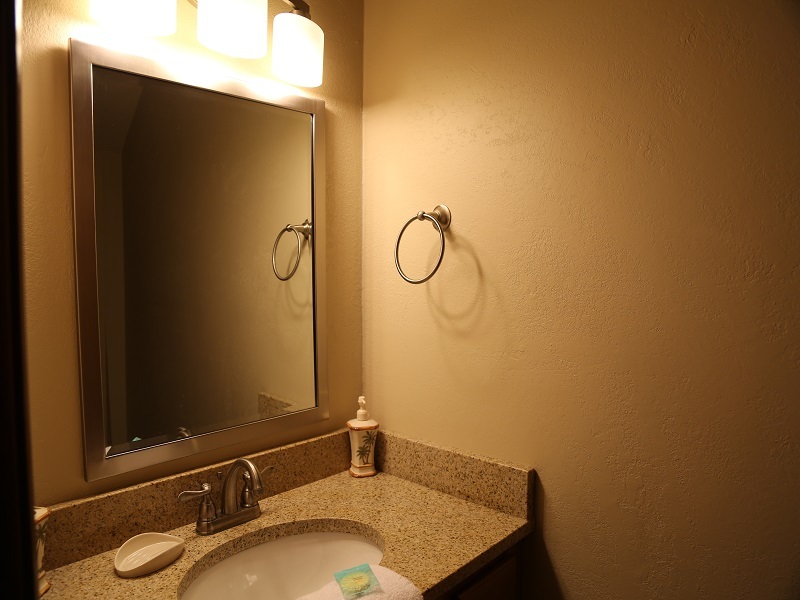 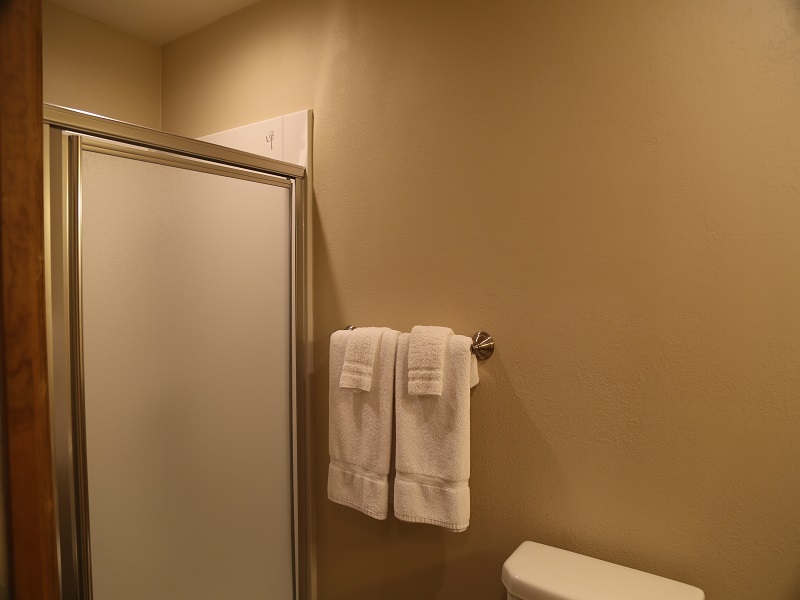 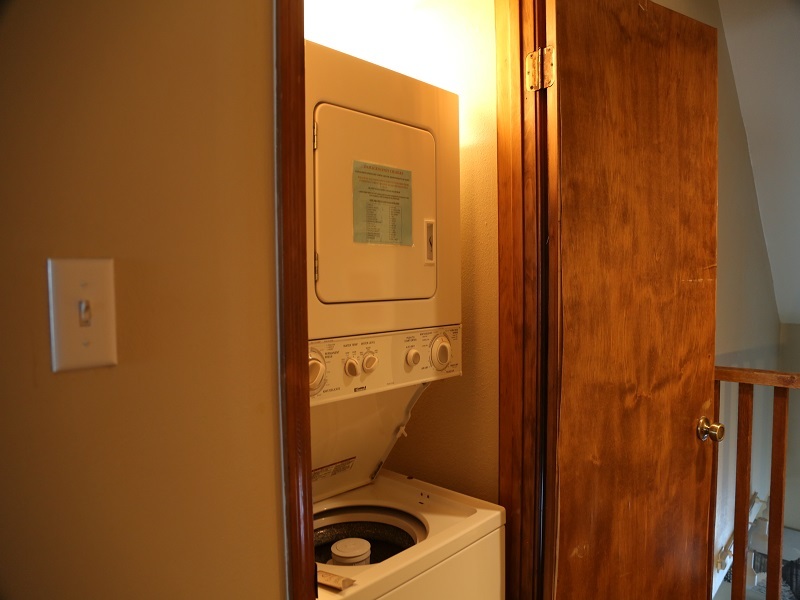 Remodeled 3rd floor features full bath, recently replaced mattresses and flat screen TV! 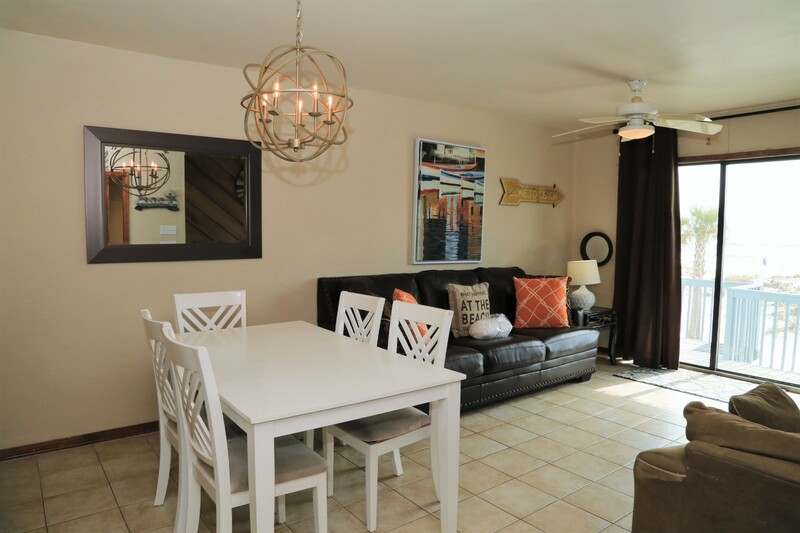 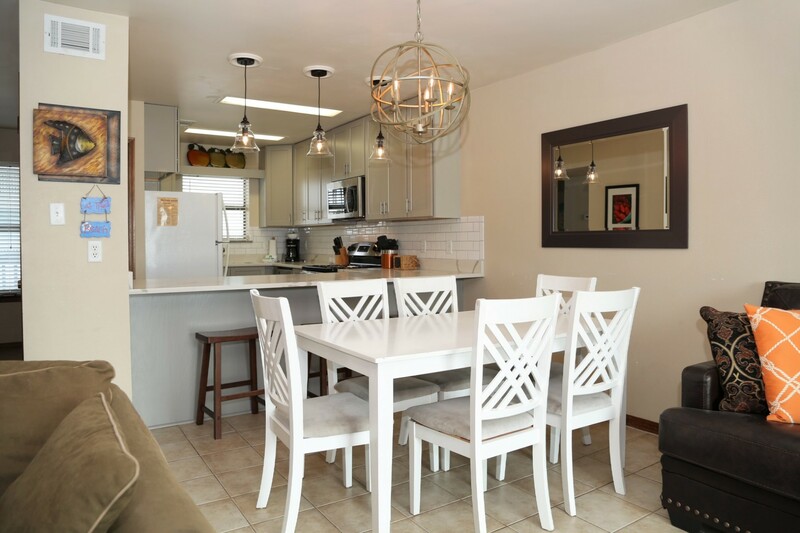 This fully equipped home has D/W, W/D, 4 TVs/2DVD/2 VCRs, icemaker and all appliances. 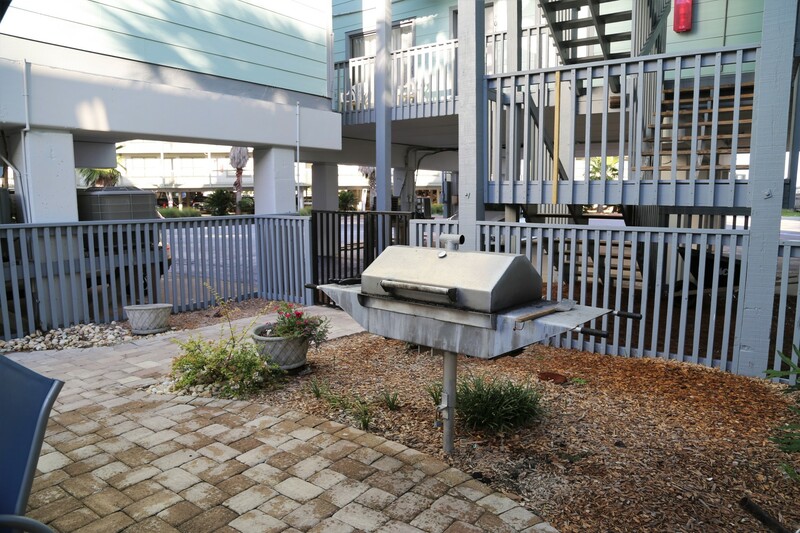 Parking for 2 cars (covered)- Permit required ($12/vehicle); BBQ area next to gorgeous pool. 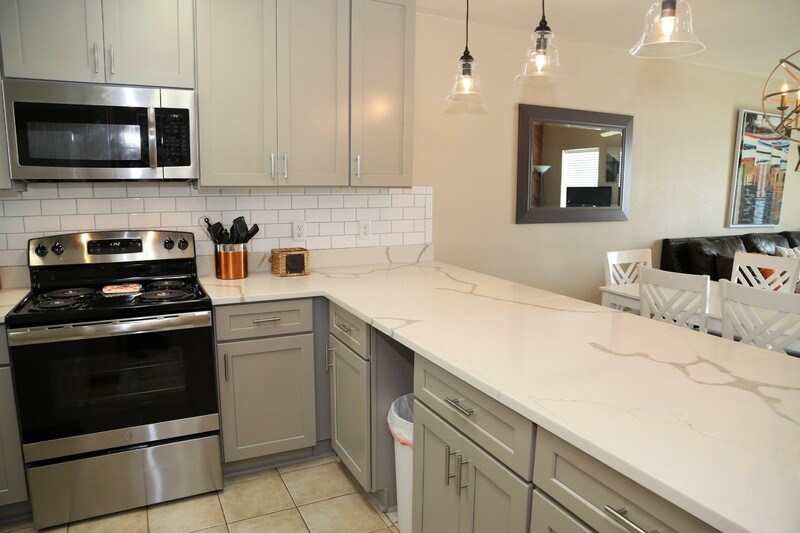 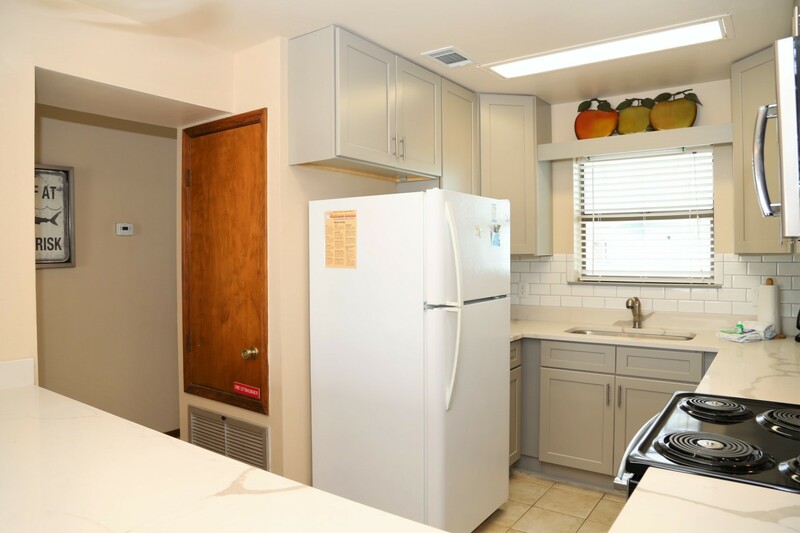 Remodeled kitchen, new cabinets, counter, hardware, appliances! 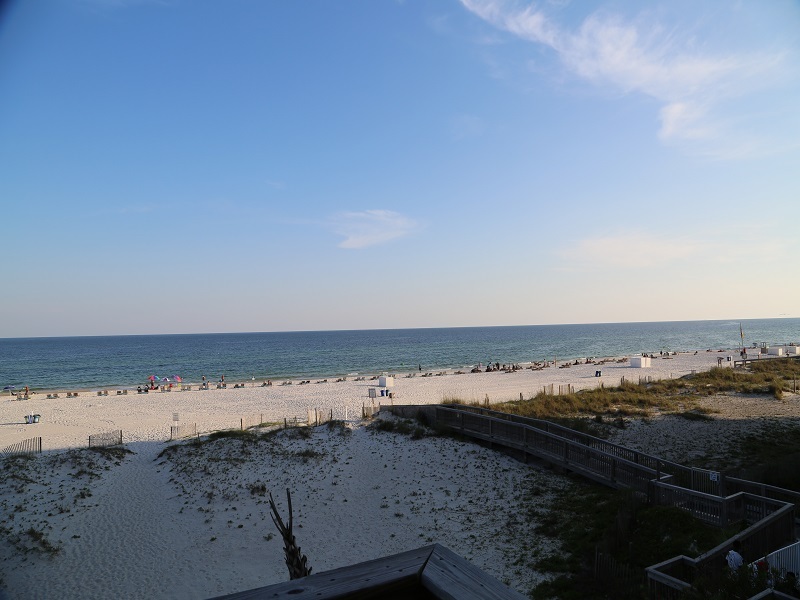 Direct gulf front view from balcony! 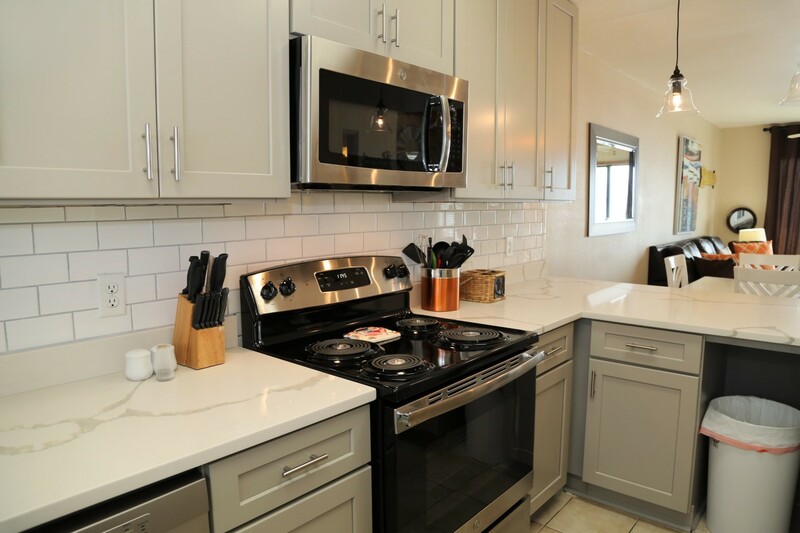 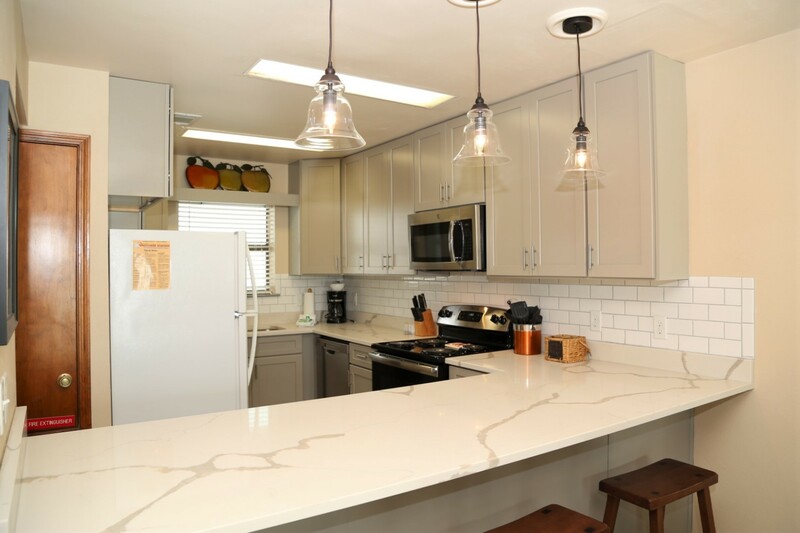 BRAND NEW KITCHEN - 2019 - more pictures coming soon! 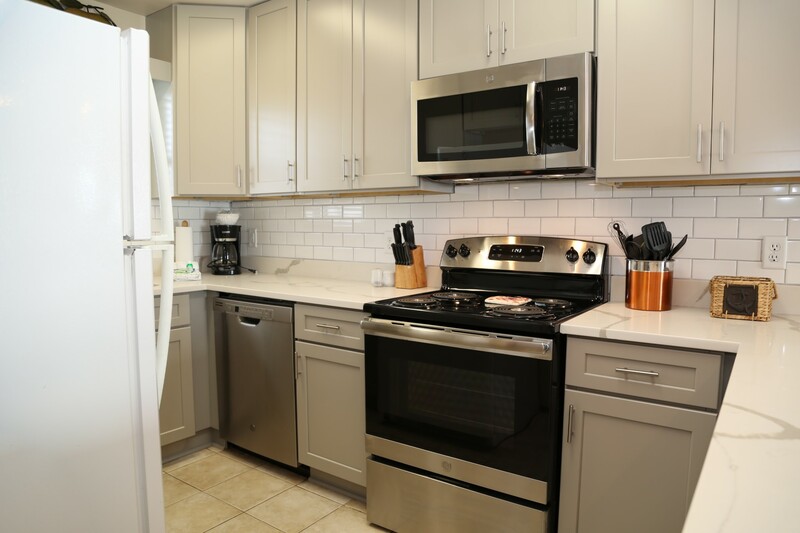 The upgraded counters provide ample space for prepping meals in the newly renovated kitchen. 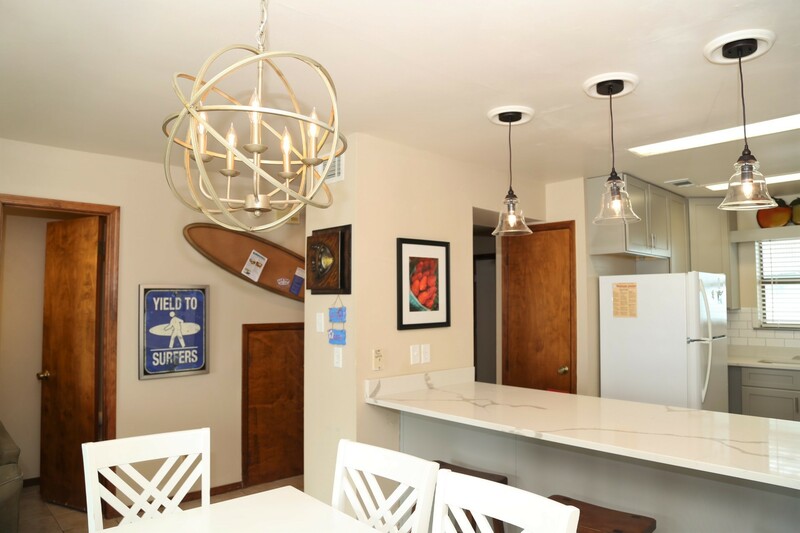 Cool new light fixtures added above the dining table & bar. 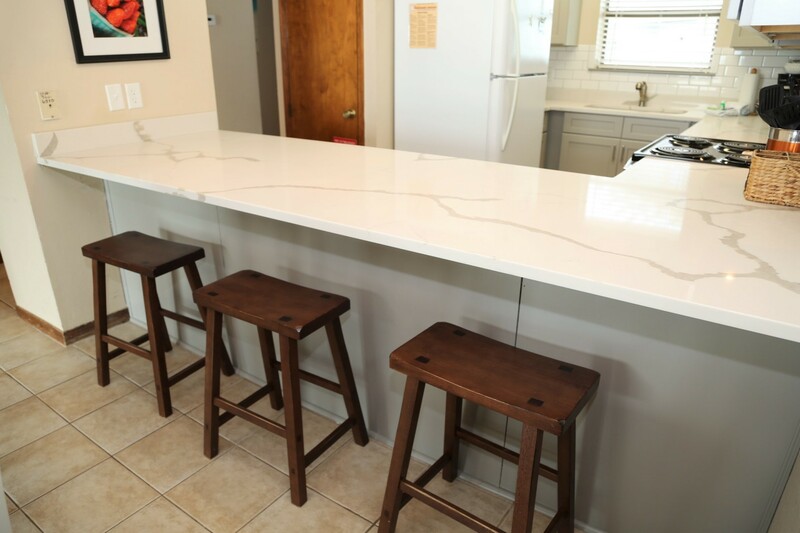 Bar seating in the dining area.